When people think about self hypnosis techniques, they typically think only of auto-suggestion and mind visualization. But when I give Self Hypnosis Training, I consider that just a beginning! There are many more mind power techniques, to incorporate in your practice, if you want to master your mind power. .
One of the most important self hypnosis techniques to learn about is anchors. And that is what I am going to cover on this page. 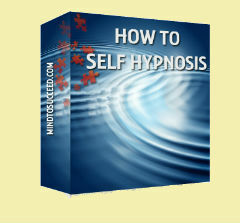 What are Self Hypnosis Anchors? Anchors are probably something you encounter every day without even realizing it. Have you ever turned on a radio, and heard an old song that brought back feelings or memories you experienced a long time ago? Have you ever felt an automatic reaction to a certain look someone gives you, or a tone of voice? If so, you have experienced the effect of an "anchor" or "trigger." It is the same effect that creates the often embarrassing, yet predictable reaction in my cat. Most of these responses are unconscious, but you can also create them consciously. Learning how to do so, can make self hypnosis extremely effective for you. I used to have a cat named Mako who loved to be brushed. Most of the time he was more concerned with sleeping, eating or catching critters. But when he REMEMBERED, getting brushed became the most important thing in the world for him and he wouldn't stop whining until I gave him what he wanted. Seriously. When I first began brushing him regularly, I did it first thing in the morning. But then Mako got so cranky and trained me so well, that he would get brushed on demand. Usually it was first thing in the morning but not always. One night I had people over for dinner and before I could serve the dessert and coffee, Mako had a fit and demanded I stop everything and tend to him. Thank goodness his compulsion was not a constant as it could have turned into full time job. Or he may have had to find a new mom (just kidding). So, what throws Mako into a whining fit? And what anchor does Mako respond to, which is one of the key self hypnosis techniques? What makes him act the way he does? 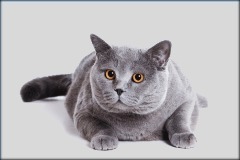 And what does all this talk about my cat have to do with self hypnosis techniques? The phenomena that Mako is exhibiting is an anchor or trigger. It is a learned response that occurs naturally in all animal and human life. Including yours. Anchors work like a shortcut icon on your computer to access different states, or bring to mind ideas and concepts. We use this process in various ways to facilitate quick, easy change. Anchors are something you can create and then use later, to achieve a certain state. 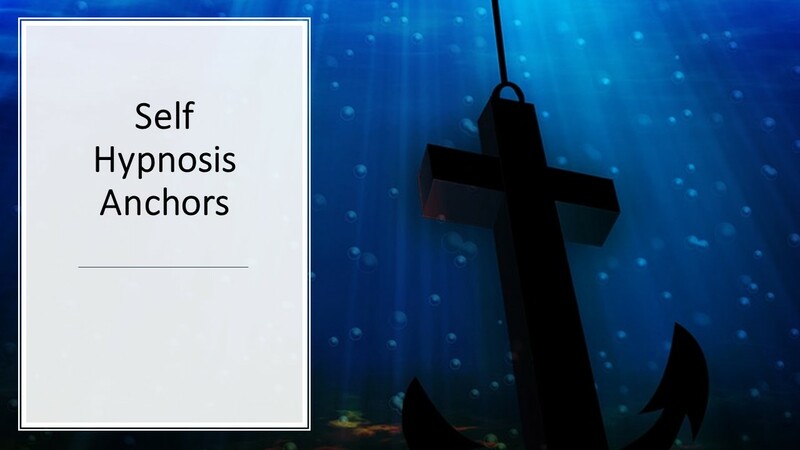 You can use anchors as a deepening self hypnosis technique.. For example, the next time you are in a deep state, take a deep breath as you exhale mentally say: "Deep Now." Then say to yourself, whenever I close my eyes, take a deep breath and say the words, "Deep Now," my mind and body will adjust to this deep, relaxed state. Then, the next time you want to go into a deep state during self-hypnosis, you take a deep breath and while exhaling you say the words "Deep Now." And you will go deeper. As many of you know, I taught the Silva Meditation Method for about twenty years. Out of all the great mind power techniques, I taught, the three finger technique was probably the one most favored by students. The three finger technique is simply a self hypnosis anchor that "programs" you to access a resourceful state whenever you put your three fingers together. You can access the state with eyes open or closed. The key to making this self hypnosis technique work, is that you program it with auto-suggestion while in a deep state and then "set" the anchor. Right before the peak of your resourceful state, set your anchor. 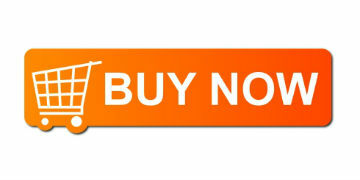 For example, you can bring your right thumb and pinky together, and use that action as an anchor. Use auto suggestions to install the desired purpose of mind power trigger. For example: "Whenever I bring my thumb and pinky together in this manner, my mind and body automatically adjusts to a level of awareness where I am calm, focused and in control." Come out of self hypnosis. Test your anchor. The more you use it the stronger it gets because the more you believe in it. Remember that mind power is what makes self hypnosis techniques work. If you believe it will work, you will be right. If you doubt it, you will be right. All mind power techniques require you have to think positive about the outcome. Have the expectation that your anchors will do their job. And they will. If you are familiar with Self hypnosis, and just want some self hypnosis scripts to refresh your learning, head over here self hypnosis scripts. If you are new to self hypnosis, this audio series has all the self hypnosis techniques you will need to start doing self hypnosis today. The self hypnosis techniques can be used to help you start working on specific changes you wish to make in your life. First, I explain the ins and outs of each self hypnosis echnique, one at a time. Then we practice them together, first, one at a time, eventually combining steps so you get a sense of the flow. Then you are guided through easy-to-follow progressions so you can practice, step by step, at your own pace, in the comfort of your own home, hotel room or office. If you are interested in participating in live online Self Hypnosis Training classes, please head over here. If you can guess Mako's trigger for getting brushed on demand, I will send you a free guided exercise on MP3. All you need to do is email the answer to us at our contact us page here. All the clues you need are right in front of you.